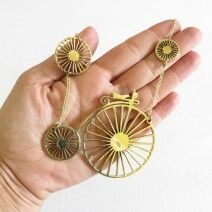 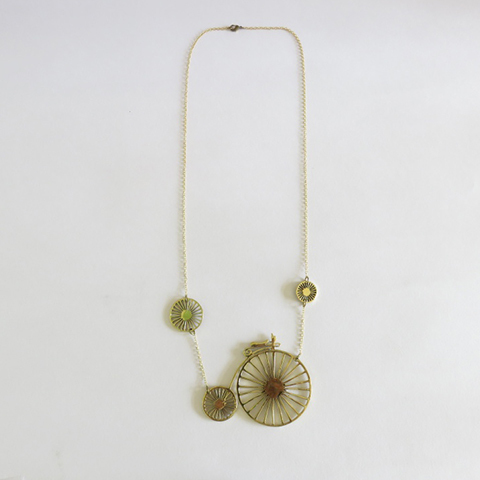 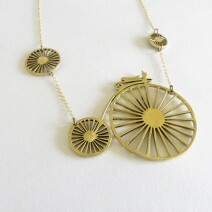 Antique brass Penny Farthing bike necklace. A replica of the first machine known as a bicycle which hangs from a long loop brass chain. This double sided bike charm features a large spoked front wheel. 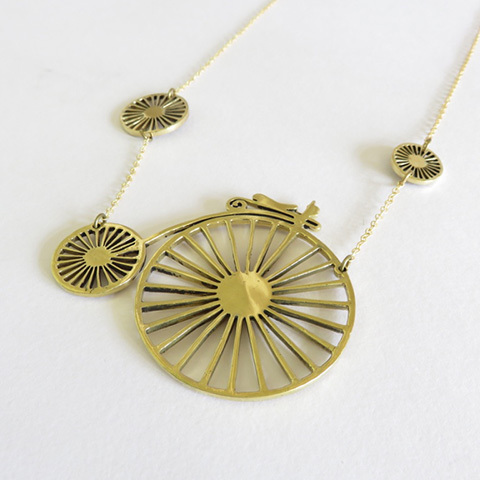 The perfect gift for true bike enthusiasts.